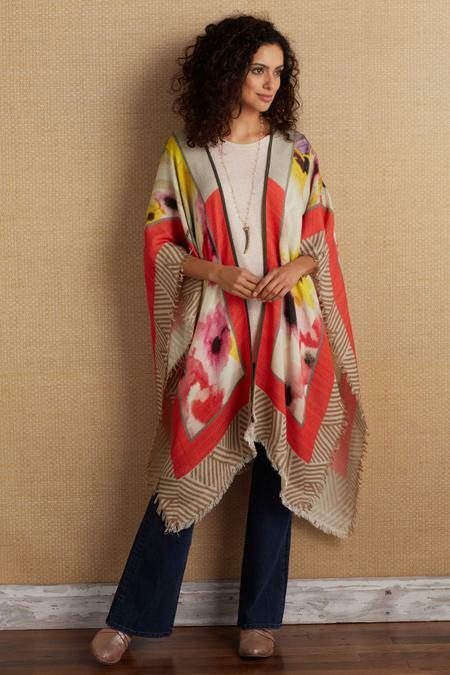 With a nod to Mondrian, a bold border surrounds a dreamy watercolor print in this soft wool-blend topper. Designed with dolman sleeves, an open front, unexpected stripes, and a fringed finale edge, it's ready to accompany you through springtime and beyond. Rayon/wool.